Flowering occurs in late Summer and Autumn. Frost tolerant, preferring well drained soil that stays moist in the growing season. A sunny airey open position ensures maximum flowering. Cut back hard after flowering. 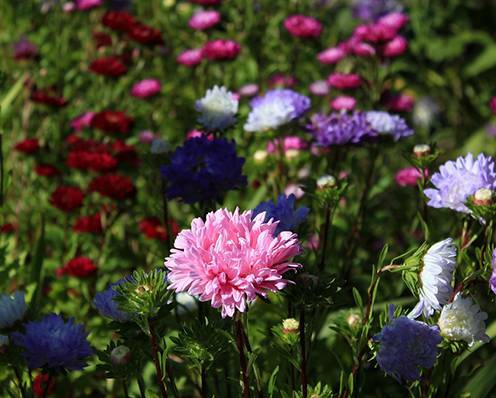 The ancient Greeks believed that Asters repelled snakes and were an antidote to their venom!